This week on StencilGirl Talk we are featuring VivaLasVegaStamps with StencilGirl Stencils. I'm telling you, now I know how people feel when I tell them to go take a look at the StencilGirl site and pick a stencil! To say I got "lost" in the Viva Las VegaStamp site is an understatement! In the end, I finally picked this set which had birds (of course) and a tree log type stamp that intrigued me--Plate 1249. 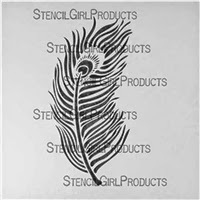 Also pictured is the Peacock Feather from StencilGirl that I used. Needless to say, the set sat and sat....not sure what my project would be. Then one day I was looking at my daughter and it hit me. A dreamcatcher! It is a long personal story that I won't bore you with...but rest assured dreamcatchers are very important to my daughter. 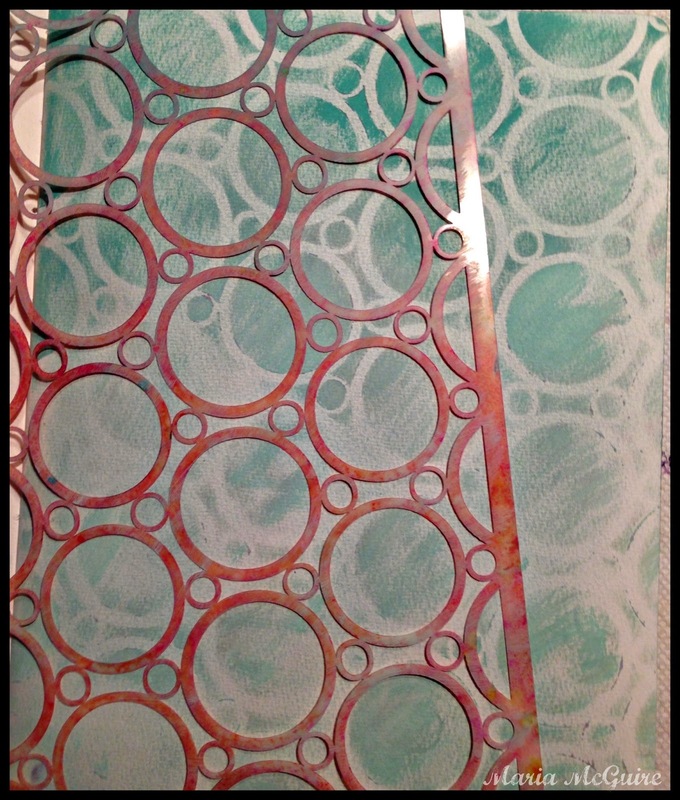 I started with the Circle on Circle stencil from StencilGirl in my Art Journal. I used just a teeny tiny bit of paint to get a sort of "whispy" look. Next up came the stamp. 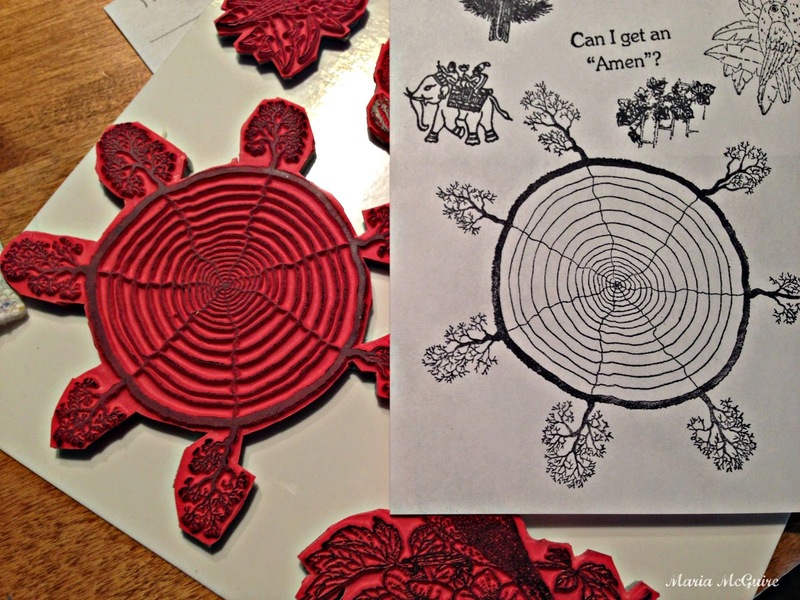 Just like stencils, I like to get more uses than intended out of my rubber stamps. Just a tip here--whenever I get a new set of unmounted stamps I store them on a EZ Mount board. Then I stamp them all out on a piece of white paper and store it in a bag with the stamps. 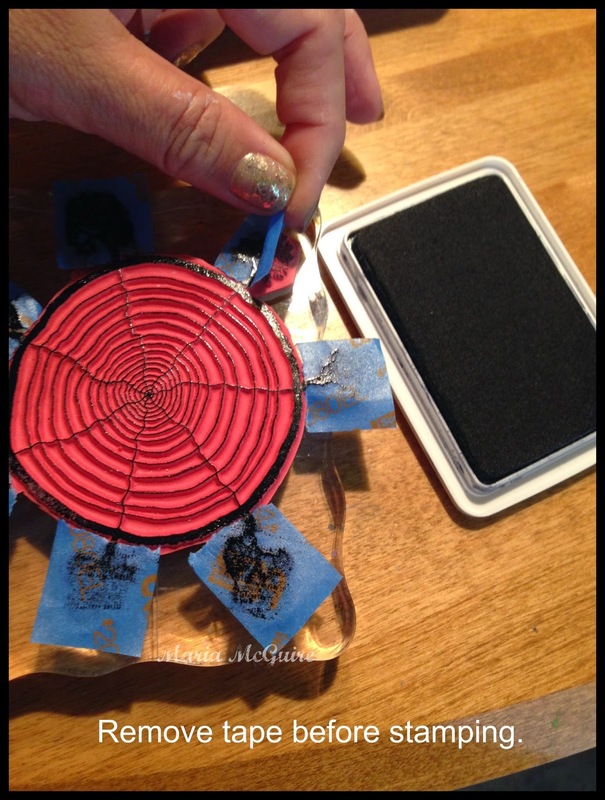 I thought the middle of this stamp was absolutely PERFECT for my dreamcatcher! I just didn't want the trees so enter another tip. Cover the parts you do not want to stamp with any kind of tape--here I used painters tape. Ink up your stamp just like usual and then take off the pieces of tape. 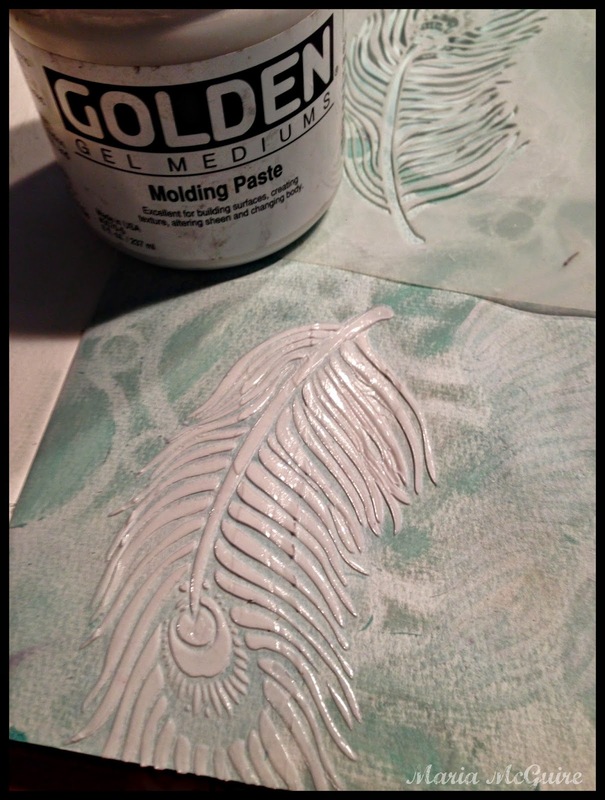 Next up Molding Paste by Golden. Using the Peacock stencil, referenced above, I used the Molding Paste on the page with the stencil 3 times. Let's make those feathers come ALIVE! 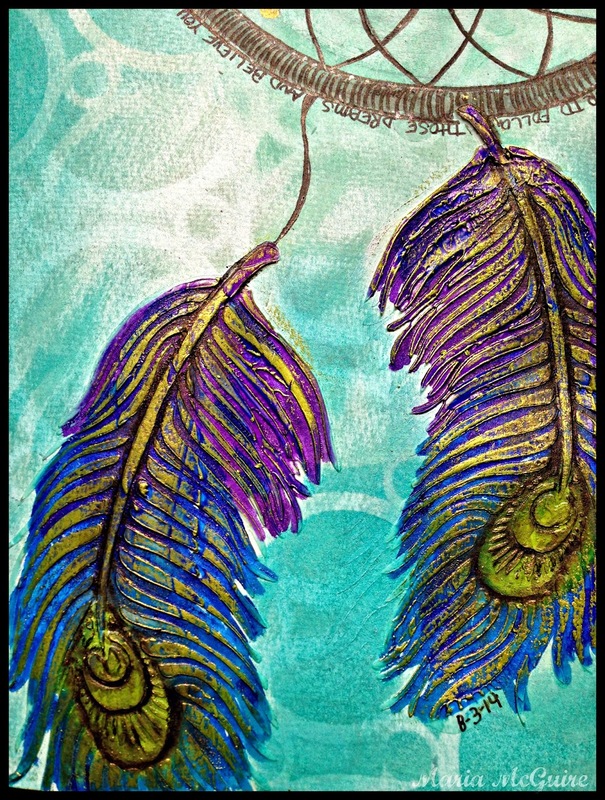 The feathers were colored with Faber Castell Big Brush Pens. I also used some Viva Inka Gold in Green Yellow. Just some finishing touches by adding more color to the background, a little journaling around the dreamcatcher and I was done. 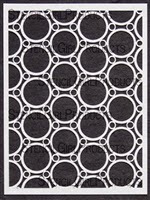 Would you like to win a pound of rubber from Viva Las VegaStamps and (4) 6" x 6" stencils from StencilGirl??!! All you have to do is leave a comment on all the blogs all week. ALL comments on ALL days will be entered to WIN! We are giving away TWO of these prize packs! Comments close Sunday, August 31st @ 11:59PM Central. Please visit all the blogs on the hop list today to see what everyone created! 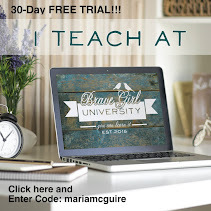 Maria McGuire You are HERE! Wow! That's cool! I loved the feathers! and a great idea for using punch-cut down a tree. Your inspiration hit your for a reason I bet because this is so superb and I think you might be a genius for creating the center of your absolutely stunning dreamcatcher using that superb wood grain log stamp!!! The feathers stencil almost seems like it was it made to go with the stamp set!!! This is what happens when 2 creatively unique companies collide--sheer masterpiece! 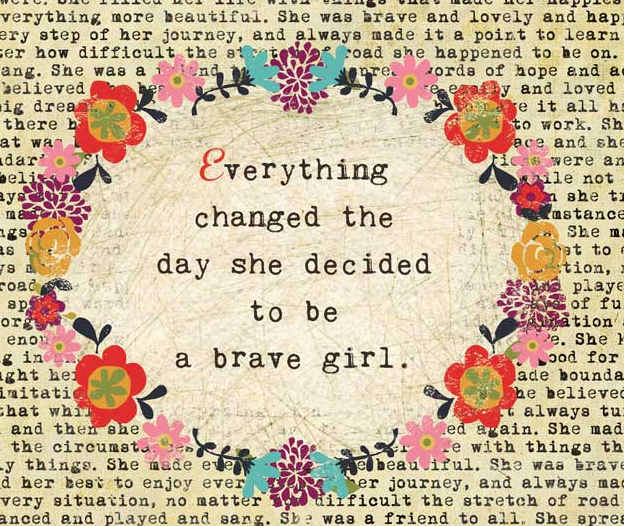 :) Very inspiring!! Nice work Maria... I like your choices, and thanks for the tips. Brilliant way to use the stamp, Maria! Love that you incorporated text, too. Beautiful! So pretty! The dimension, the colors & the great use of the wood grain for the center of the dream catcher! Love how you did this - and I want that tree stamp!!! So proud of you for doing it off center! This is absolutely wonderful! The feathers are so vibrant...just beautiful! very creative use of that stamp and like the way you made it into a dream catcher. Oh Maria... wow..those feathers and blocking off the trees... geez lahweeze. Great project! Love the masking tip. What a beautiful dream catcher. This is so beautiful and creative! I love it! I really like the way you masked off the stamp - that's such a great idea. And awesome choice of stamp plate! That one just went on my wishlist too :) I hope you frame this one! Love the dream catcher. You don't notice the off-center part - until you mentioned it. Too many other pretty colors and designs to look at. Love dream catchers! 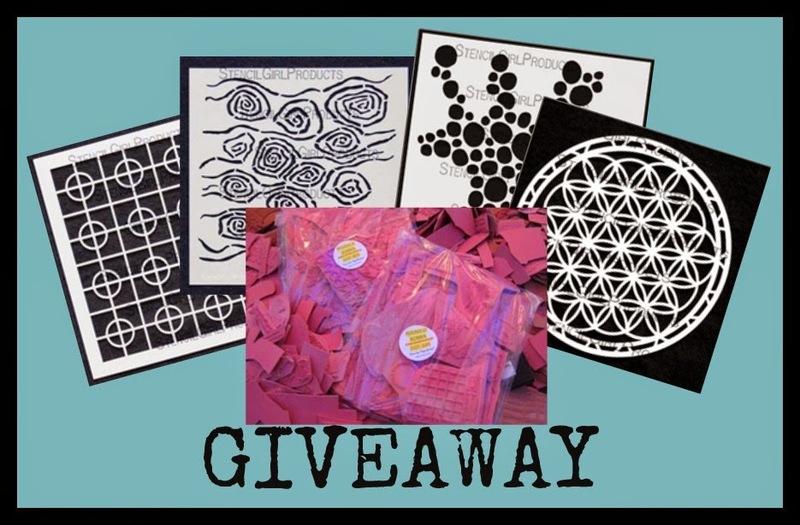 and the stencils you used..would love to win this giveaway! Beautiful composition! Love the raised feathers and creative use of stencils! Thanks for sharing. Fabulous - I love it!! I LOVE this dream catcher! How pretty! You had me at Peacock Feathers! Love the dimension and colors. I need to relook at all of my stamps better to see if there are other ways to use them. Great project and so pretty to look at. The tip on covering part your stamp is great. Maria, I love the idea of covering up parts of a stamp you don't need and then stamping. Also, those feathers are stunning. Thanks for the ideas. Maria, you combined a lot of really good instruction into one project -- thanks! 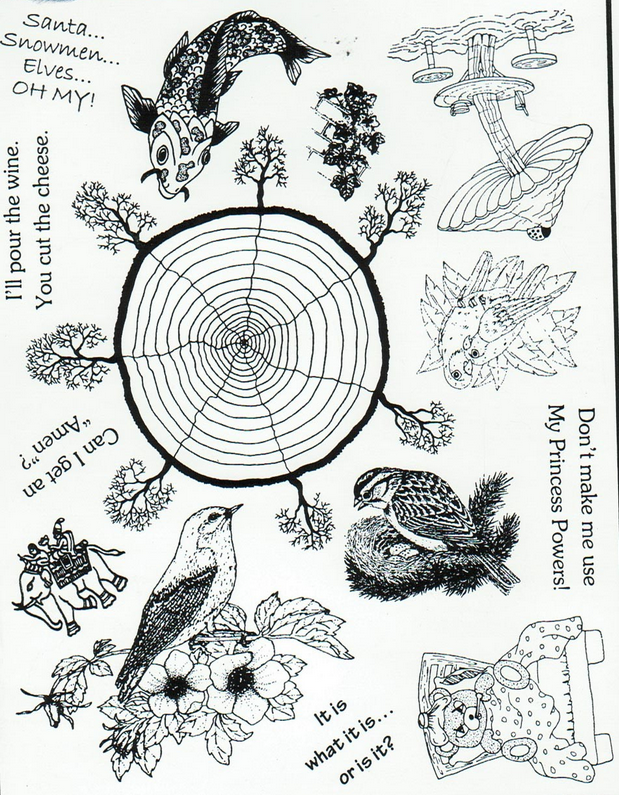 Maria, love the dream-catcher, we have several in our windows... the stamp of the feather is one that I really love! Beautiful journal page! Such an innovative way to use the stamp and stencils. I'm definitely going to try this dream catcher idea. fantastic wor, with a fantasttic color choice! Oh, those feathers are gorgeous. I love the way you used the stamps too - very clever. Love dream catchers. Great idea to use the VLVStamp as you did with the gorgeous feathers. What a great combo. Very pretty, love the colors! Thanks for sharing the tip! WOW!! What a stunning journal page!! 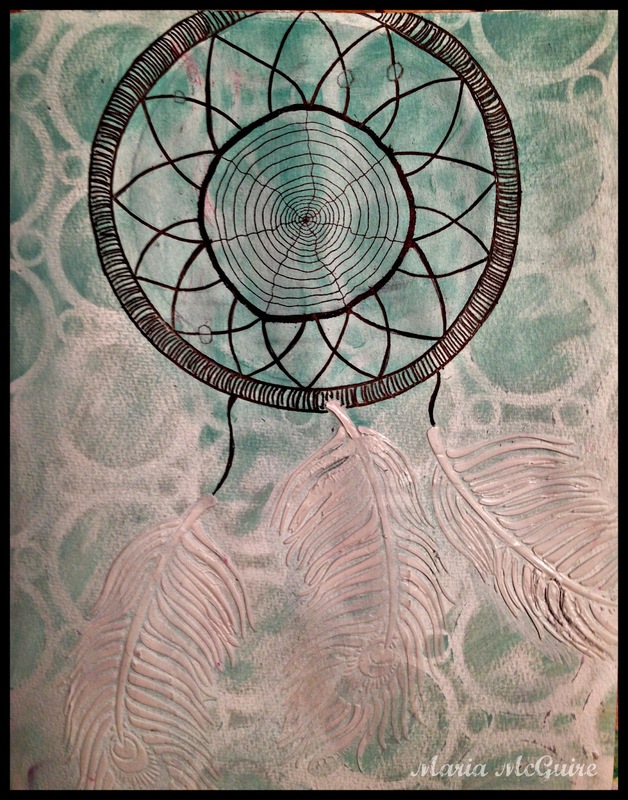 Makes me want to go try a dreamcatcher in my art journal!! You rocked it, Maria! 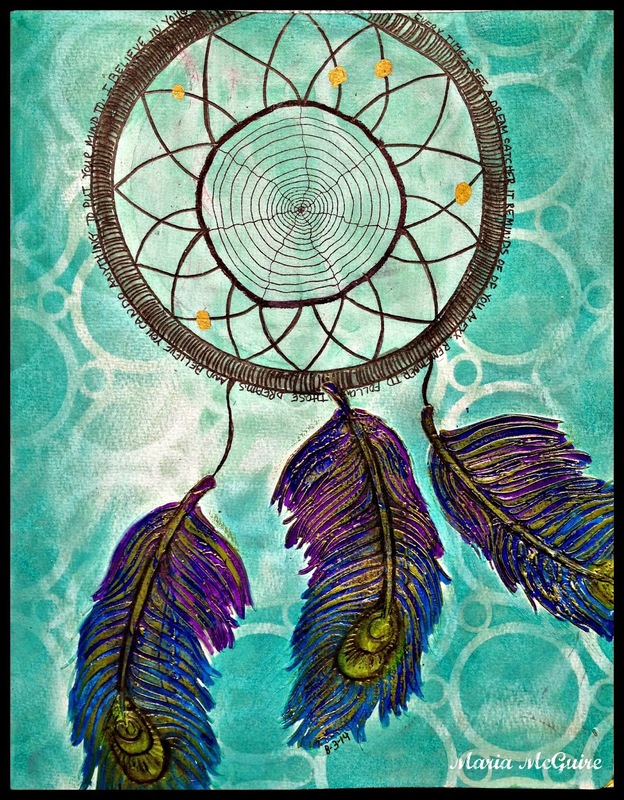 I love how you came up with a dream catcher …. genius! 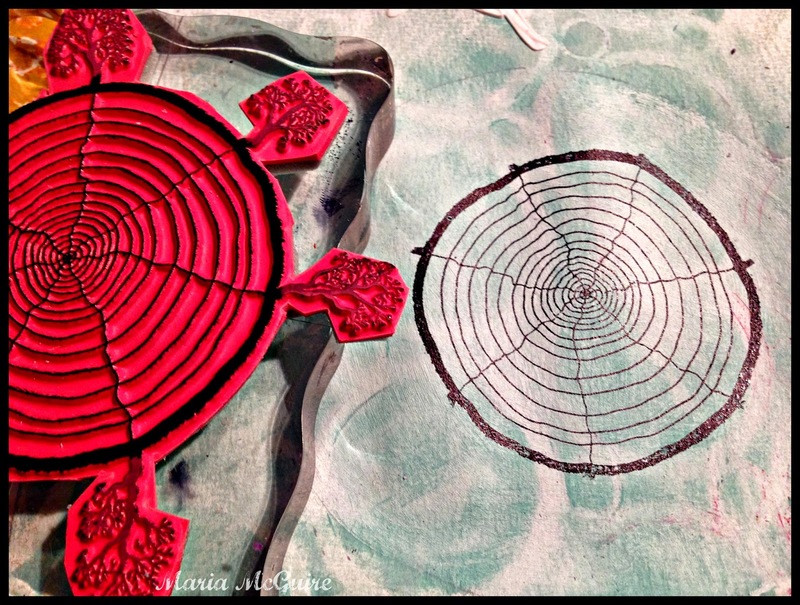 (I love dreamcatchers too, am working on one presently) Thanks for your entry….well done!!! I love how you mixed stencils, stamps, your own hand drawing and beautiful colors. Thanks for the inspiration. Your dream catcher is gorgeous. Beautiful page, and thanks for the tips for how to store the stamps and how to mask sectikns you don't want to include in a project (very helpful for newbies like me). Thanks, too, for sharing such a clear step-by-step tutorial. Ohhh... love to try this! 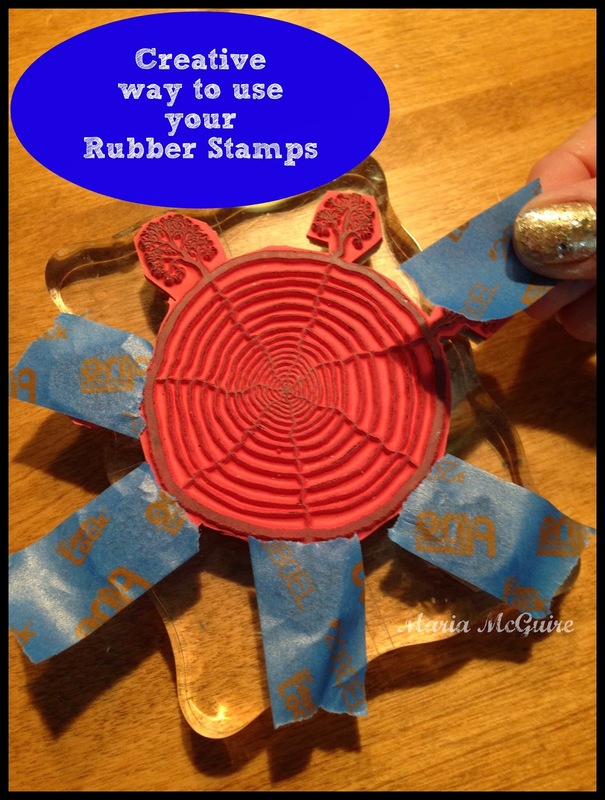 Clever use of that very cool stamps! Really a good post. Great tweaking of the stamp and those feathers are fab! Love this project! Maria, you've done it again. Beautiful! toastmasterliz (at) live (dotcom). OOOHHH, ADORE that Dream Catcher!! GREAT techniques & "dreamy" colors too. Oh my! That is AWESOME! Thank you for sharing! I love it! Your work is so beautiful. I love dreamcatchers too! Great hop. This is amazing and love that you shared the tutorial of how you did it! My fav part was the feathers!! so pretty - I love that feather stencil. And a great tip with the tape. Thanks! So cool! LOVE the feathers!